Jordan Schneider and Rob Sargent wrote Environment California’s new report Lighting the Way. The 51 page study focuses on 10 key states who collectively possess 87% of US installed capacity. One has only to look at the top of this page for an example of what they are talking about. California has been leading the US in solar development for so long that one tends to forget it does not possess as much sunshine as most of America’s middle states. Its dominance started with the launch of the California Solar Initiative in 2006. Arizona, Hawaii and Nevada are the nation’s leaders when solar capacity is measured per capita. California’s rise to fourth place, measured by this metric, is a significant accomplishment. Last year the state was #6. Yet Arizona’s leadership is threatened. Though “blessed with some of the world’s best solar energy resources, and facing the need to meet increasing demands for electricity from a growing population,” the solar community has been under attack. The Arizona Corporation’s Commission rejected a proposal to place a $50-$100 monthly fee on net metering homeowners, but agreed to let utilities charge an additional monthly fee of $0.70/kW (a $3.50 monthly charge for a 5 kW system). Schneider & Sargent claim the conservative organization’s sole victory was in Ohio. While this is literally true, that state’s solar capacity is only 88 MW. It would be more accurate to say the Ohio legislature called for further study of the wind sector. 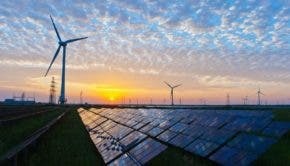 All 10 states have renewable electricity standards that set minimum requirements for the share of a utility’s electricity that must come from renewable sources, and 8 of them have solar carve-outs that set specific targets for solar or other forms of clean, distributed electricity. 9 of them have strong net metering policies. In nearly all of the leading states, consumers are compensated at the full retail rate for the excess electricity they supply to the grid. 9 states have interconnection policies that reduce the time and hassle required for individuals and companies to connect solar energy systems to the grid. 9 states allow for creative financing options such as third-party power purchase agreements, and 8 allow property assessed clean energy (PACE) financing. Click here to access their report.